Limited to 500 copies ! 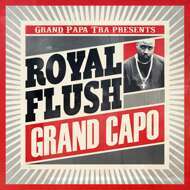 The album blends Royal Flush's legendary heavy raps fused with Grand Papa Tra's sound signature which merges real classic New York hip-hop elements with fresh and organic sounds. provide us with some of the finest skills out of New York.